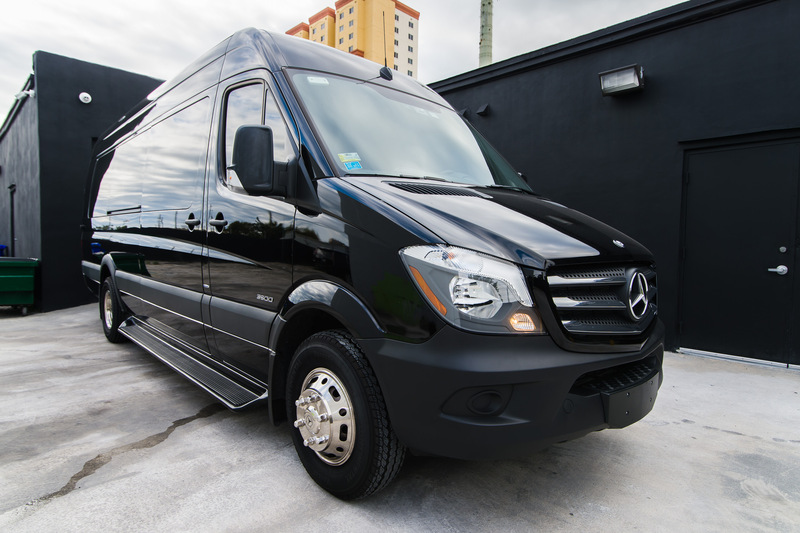 Entertaining a group of up to 13 just got a whole lot easier with our Miami chauffeured Sprinter Van! 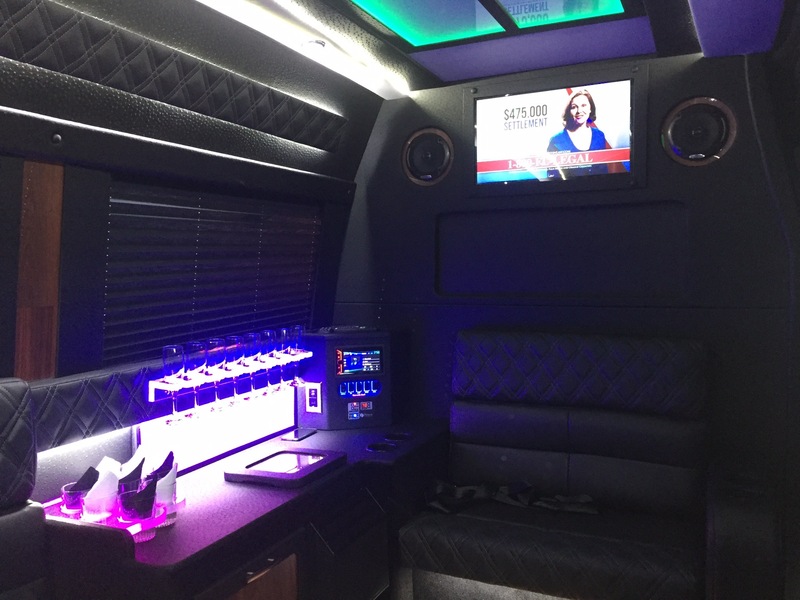 The largest available party on wheels, our party bus is unmatched in luxury and sheer size and it is locked and loaded with amenities for your next big event. Expecting less than 13 guests for your event? No problem, that just leaves more room for the rest of your party to kick back and get things started! 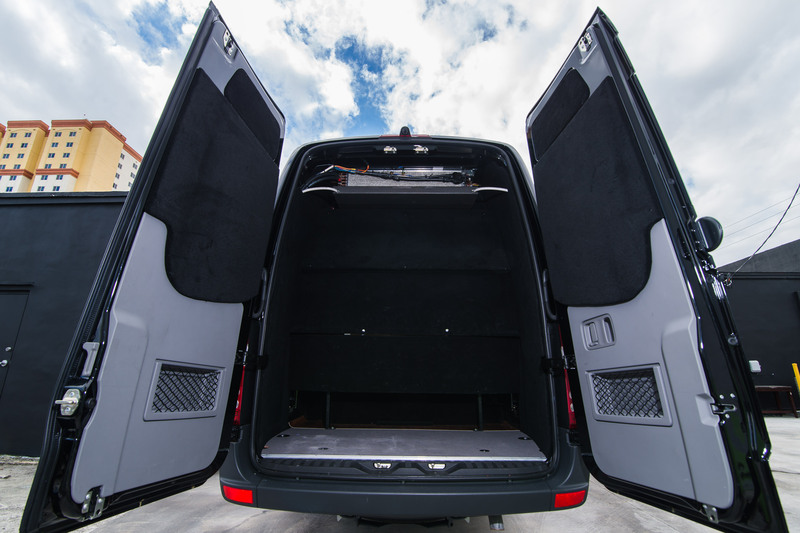 If you have never experienced a true tour-bus style bus rental, this is your chance! 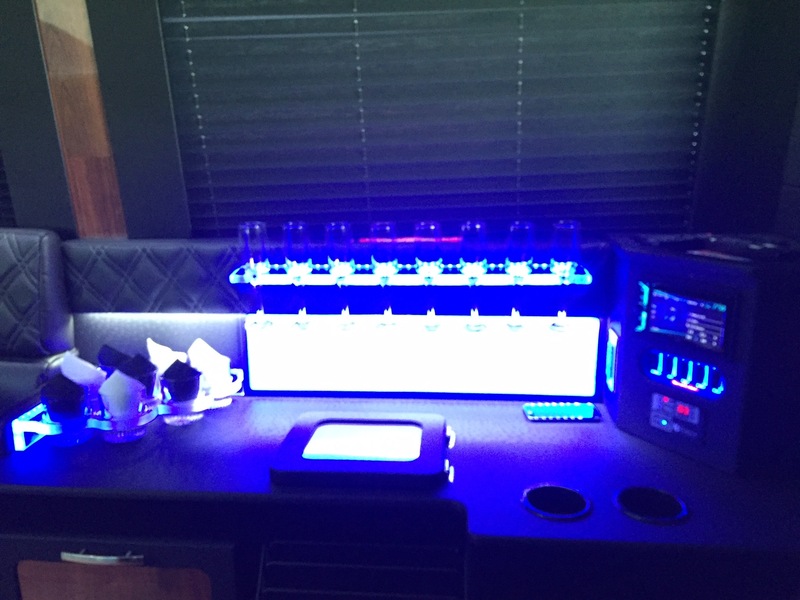 It is easy to understand why celebrities often opt for a tour bus once you step onboard our party bus, it feels like a rolling luxury hotel! 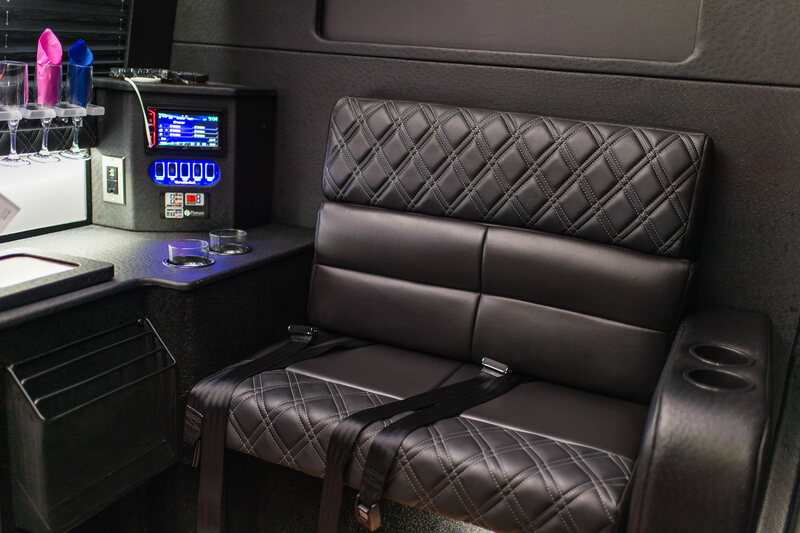 Entertainment is easy on our Miami Sprinter Van, with a full bar, champagne flutes, festive lighting and chic leather bench-style seating. Even the walls and ceiling of the party bus are artfully appointed, adding to the club-like interior vibe. 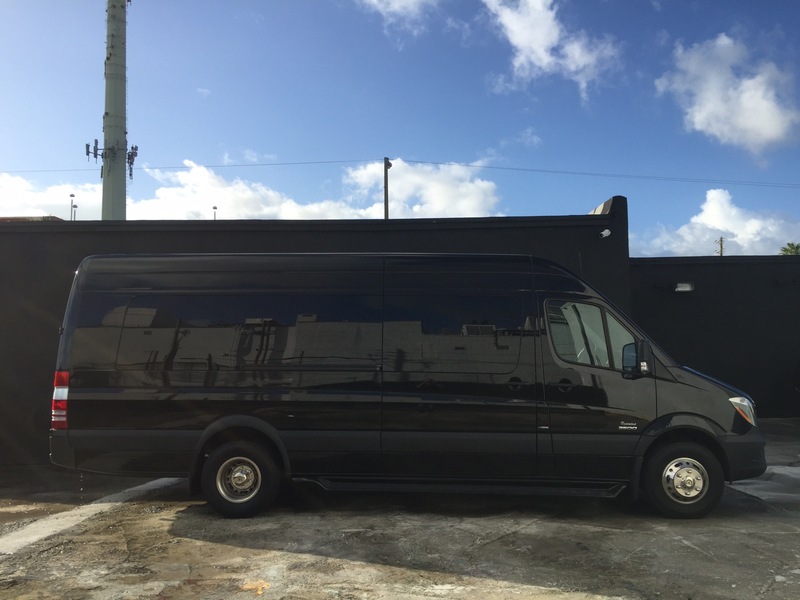 If you are heading to one of Miamis hot nightclubs, you may find it difficult to get your guests off the bus upon arrival! What are you waiting for? 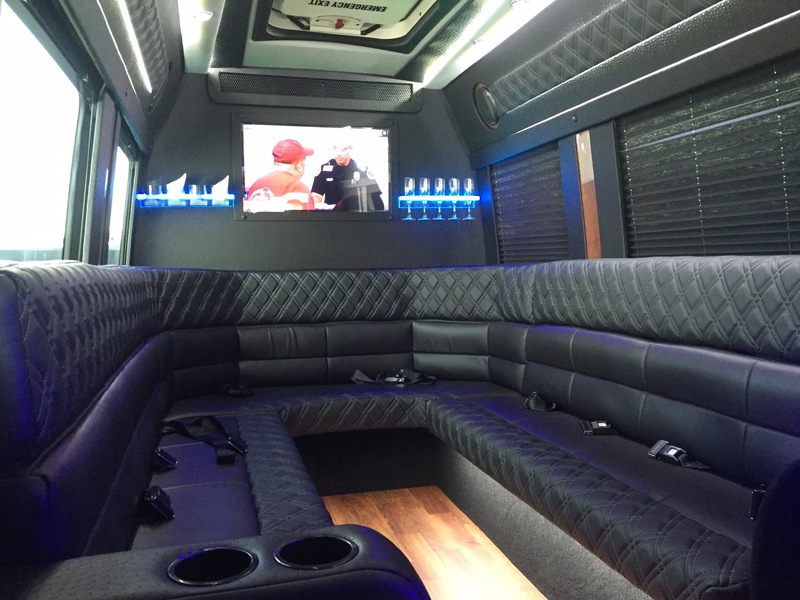 Call us today to see how you can successfully transform your next outing into an all-out event with a luxury chauffeured party bus in Miami, New York, Chicago, Philadelphia, New Jersey and Los Angeles! As always, a free quote will be quickly provided.